"This is my life! I had to fight for this…" A trailer has debtued for an indie drama adapted from a stage play called "Blackbird". The film is titled Una and premiered at the Telluride & Toronto Film Festivals last year to mixed reviews. Rooney Mara stars as a troubled young woman who comes to a man's work to confront him about their past, and things get a little crazy. Ben Mendelsohn also stars, and the cast includes Riz Ahmed in a small role, as well as Tobias Menzies and Tara Fitzgerald. While some critics flipped for this film, I found it utterly boring, and it feels way too much like a stage play and not at all like a film (taking place mostly in one drab location). It doesn't work well as a film, but that's just my own take. Have a look. 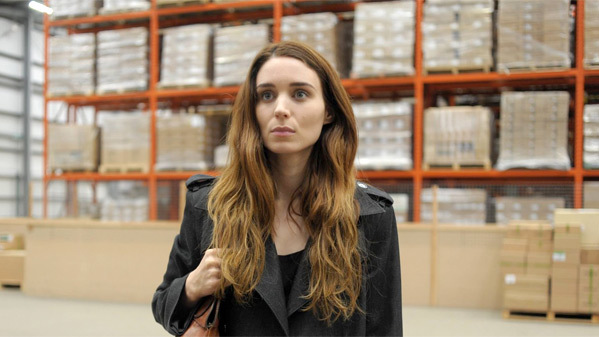 When a young woman (Rooney Mara) unexpectedly shows up at an older man's (Ben Mendelsohn) workplace, looking for answers, the dark secrets of the past threaten to unravel his new life. Their confrontation will uncover buried memories and unspeakable desires. It will shake them both to the core. Una is directed by filmmaker Benedict Andrews, an Australian theater director making his feature directorial debut in cinema. The screenplay is written by David Harrower, based on his own play titled "Blackbird". The film first premiered at the Telluride, Toronto and London Film Festivals in late 2016. Una is still searching for a US distributor to release the film, and has no official release date yet. Your thoughts? Happy New Years Shiboleth, all the best for 2017. This looks grim. Riz Ahmed is smashing it at the moment, he's always good too. I watched the first episode, but heard it was really good. Still need to catch up on that one. My wife watched it and really liked John Turturro's character. Maybe a case of trying too hard. Rooney Mara is as expressive as Kristen Stewart. Way way WAY too heavy a movie for me. Being a father, I can't handle this subject matter anymore.